Yeast Essential to crafting your next brew! Hops Get your hop on! At Omega Yeast, our propagation process is designed to produce. We are only the second shop in OHIO to carry them, Omega Yeast Labs is proud to offer home brew pitches of select strains. Available at better brew supply shops in 19 states and 3 provinces (and counting). At Omega Yeast, our propagation process is designed to produce metabolically strong yeast that result in healthy fermentations. As a result of genetic differences, we have observed strain to strain variation in cell counts under identical growth conditions. Through our proprietary process, we generate the optimal number of yeast cells, which varies from strain from strain, to yield the best and most consistent performance for each particular strain. Thus, for most of the strains in our collection, our home brew pitches contain at least 150 billion viable yeast cells at packaging. All are $7.75 Compare to Northern Brewer at $8.99!! The first in our hybrid series. A genetic hybrid combining the robust fermentation of French Saison with the flavor characteristics of Belgian Saison. Created by and available only from OMEGA YEAST LABS. Clean crisp flavor characteristics with low fruitiness and mild ester production. A very versatile yeast for styles that desire dominant malt and hop character. A very popular "house" Strain. May yield citrus notes with cooler fermentation 60-66*. An Ale strain of Norwegian origin that has an outstandingly wide temperature range (62-98*) with little difference in flavor profile across the whole range. Temperature control is unnecessary with this strain. It has a unique fruitiness that makes it complimentary to modern hop varieties. The most popular German wheat beer strain used worldwide. Produces a balance of banana esters and clove phenolics that can be skewed depending on various conditions .e.g. increased ester production through increased fermentation temp., or increasing the wort density and decreasing the pitch rate or overpitching to reduce or eliminate the banana character. Decreasing the ester level allows higher clove character to be perceived. Sulfur is produced but dissipates with conditioning. Suggested headspace of 33% is recommended. Allows Malt and Hop character to dominate the profile. Highly flocculant and highly attenuative. Ferments down to 64*. A classic ESB best suited for English styles including Milds, Bitters and Porters and English style stouts. 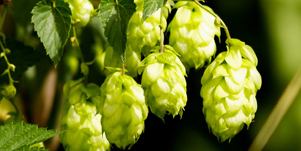 Ales produce with this strain tend to be fruity, increasingly so with higher fermentation temps of 70-74* Although a diacetyl rest is recommended after fermentation is complete. This yeast will leave a beer very clear, and will leave some residual sweetness. Versatile strain for the production of classic Belgian Style ales. This strain produces a beautiful balance of delicate fruit esters and subtle spicy notes, with neither one dominating. 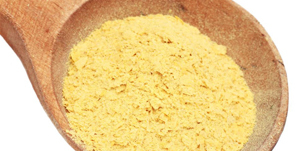 Unlike many other Belgian strains, this one is highly flocculant and results in bright beers. Classic strain for producing Belgian dubbel or Belgian tripel. This strain produces a nice balance of fruity esters and phenolics, making it desirable for use in other Belgian style ales as well. A true top - cropping yeast, additional headspace is recommended. It has a broad temp. range as well. A lager strain hailing from Munich's oldest brewery. 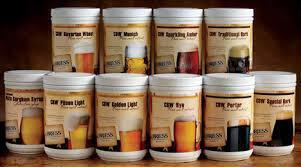 It produces low sulfur and low diacetyl, and works in a wide temp range resulting in clean crisp lagers. A blend of a mild Brettanomyces isolate from a Colorado brewery known for its Brett beers and two strains formerly classified as Brettanomyces, but since found to be Saccharomyces. This blend produces huge tropical fruit aromas during fermentation that fade somewhat during conditioning. Has a wide Temp range and ferments very dry leaving little body. Consider adding flaked oats if additional body is desired. This blend will not produce significant "funk" or acid with extended aging.The blend pairs well with fruity hops to make a unique pale ale. This blend contains the 2 Saccharomyces from blend #1 for primary fermentation and is spiked with Brettanomyces Bruxellensis for development of a moderate "funk" during a secondary fermentation. The "bit o funkiness" will take extended time, 3+ months, to develop. This blend contains the two Saccharomyces from blend #1 for primary fermentation and is spiked with Brettanomyces Bruxellensis and Brettanomyces Lambicus, two isolates from a Colorado brewery known for its Brett beers, and two Brettanomyces isolates from a Belgian source for a funky fruity and complex brew. Brett character will develop over time. Acid production will increase over time given exposure to oxygen. This will be an evolving blend comprised of nearly every Brettanomyces strain in our collection. When used in secondary, expect high attenuation and a fruity and funky complexity developing over time. A Coast to coast blend of a saison strain from a famous Northeast U.S. Brewery and a Brettanomyces strain from a Northwest U.S. brewery. The blend results in a fast developing fruity and funky farmhouse ale. This blend contains two lactobacillus strains - Brevis and Plantarum - giving the blend a wide temperature range.The Plantarum strain was isolated in collaboration with Marz Community Brewing from a starter inoculated with whole malt grains. It sours efficiently at lower temperatures (65-100*) compared to other lacto species. To use the blend for kettle souring a 5 gallon batch, prepare a starter of approximately 1.040 specific gravity and pour contents of pouch into starter. Incubate 24-48 hours at room temperature to increase cell count. Prepare wort as normal and cool to 75-95*. Pitch starter into wort and allow to sour to desired level. Max levels of souring should develop within 48 hours. There is no need to hold temps at the high end of the range for effective souring due to the efficient action of the Plantarum at lower temps. When desired sourness is achieved , reboil the wort to kill the loctobacillus. Cool wort and pitch yeast to complete fermentation. To use blend for long term souring, pitch contents of pouch directly into wort of finished beer. Sourness can take up to 3 months or morew to develop. IBUs should be kept below 10 so as not to inhibit Lacto growth. Classic, premium, seasonal, and limited release lines include 30+ perfectly crafted recipes. Easy to follow instructions and everything but the equipment make these a great first brew starter. Anything else you need, we have! This recipe uses the traditional combination of pilsner malt, rice, and corn adjuncts. It is light-bodied, refreshing, and thirst quenching. A very easy recipe to brew and an excellent entry to craft brewing. 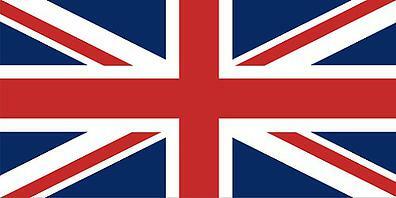 An ale version of the American lager style. Clean, light, and simple to brew. Faint malt notes with a hint of corn-like presence. An easy drinker. One of the world's classic beer styles. This recipe is best enjoyed when lagered. 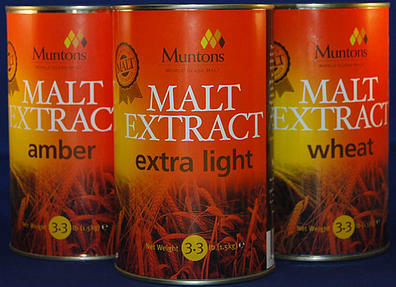 Pilsner malt extract produces a straw color. A dry beer that finishes with ample hop bitterness. 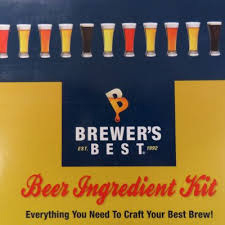 This kit includes lager yeast that will also perform well if fermented at ale temperatures. At last, a Gluten free ingredient kit that can be enjoyed by all. The wort is crafted from White Sorghum and Belgian Style syrup, complemented with orange and lemon peel additions. Lightly bitter with undertones of floral and citrus from the hops. Smooth and refreshing. Crisp, easy-drinking ale. Straw-yellow hue similar to a pilsner, but is less hoppy, a bit sweeter, and uses pale malts and a small amount of wheat. To achieve the lager-like characteristics this ale is famous for, we recomment using a liquid Kölsch yeast. Wheat malt and European hops create the recipe for this easy drinking summertime classic. Light-bodied with a smooth finish, our Weizenbier features and authentic dry wheat yeast. Light bodied, effervescent farmhouse style ale. Warm malty flavors and a slight orange hue from the steeping grains. 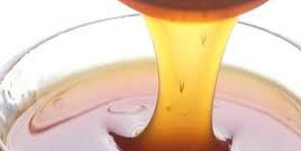 Golden Candi Syrup lends a faint caramel sweetness and a hint of fresh plums. Belgian style yeast straight contrubutes a spicy and peppery background. A pale ale that uses just the right amount of Rye, Munich, and Honey malt to create a unique spiciness. Then we use three different hop varities to perfectly balance the beer...and it's dry hopped! Classic English style that yield medium-high bitterness above a foundation of caramel maltiness. Hop character is derived from a heavy bittering addition. This is a well-balanced, drinkable Special Bitter. An easy drinking ale belnding the styles of pale ale and wheat beer. Hoppier than traditional wheat beer. American Cluster and Liberty hops lend a moderate hoppiness. 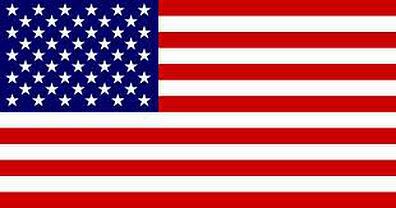 Perhaps the most widely brewed American style ale. Moderately strong hop aroma and bitterness. 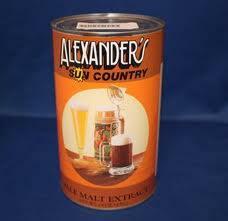 Pale ale malt base provides deep gold, almost amber color and medium-bodied mouthfeel. Munich, Vienna, an caramel malts combine to provide a rich aroma. When lagered this beer will finish clean and dry with no fruity esters. This kit includes a lager yeast that will also perform well if fermented at ale temperatures. We use plenty of hops to accent this popular style. From the bittering to the flavoring to the aroma hops, we created the perfect balance for this clean, crips, pale ale. Pale ale malt combined with medium caramel malt create a rich, copper color. Bitterness is balanced to match the malt character. Smooth clean finish with moderate carbonation level. Amber in color with a nice blend of Munich malt and crystal grains. Medium-bodied, malty, and finished with a distinct hop flavor. This kit includes a lager yeast that will also perform well if fermented at ale temperatures. Our Scottish Ale is full of caramel malts, both in the extract and specialty grains. Chocolate malt, roasted barley, and a touch o smoked malt bring this full-bodied malty ale to completion. Medium-bodied brew has a malty character surrounded by a nutty aroma. Crystal malts with a touch o chocolate malt create the brown color balanced by a subdied hop flavor. Munich and chocolate malts create a darker, maltier version of Weizenbier. Amber-brown in color yet medium-bodied with a sweet, bready flavor. 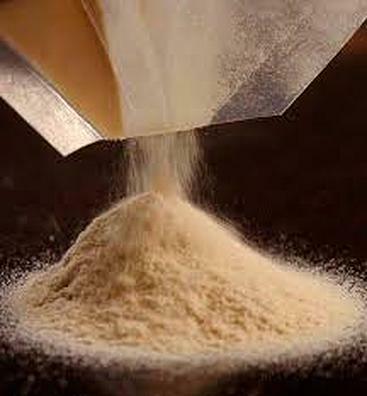 Specialty wheat yeast produces the characteristics phenols found in traditional Weizens. A dark, moderately strong malty lager. 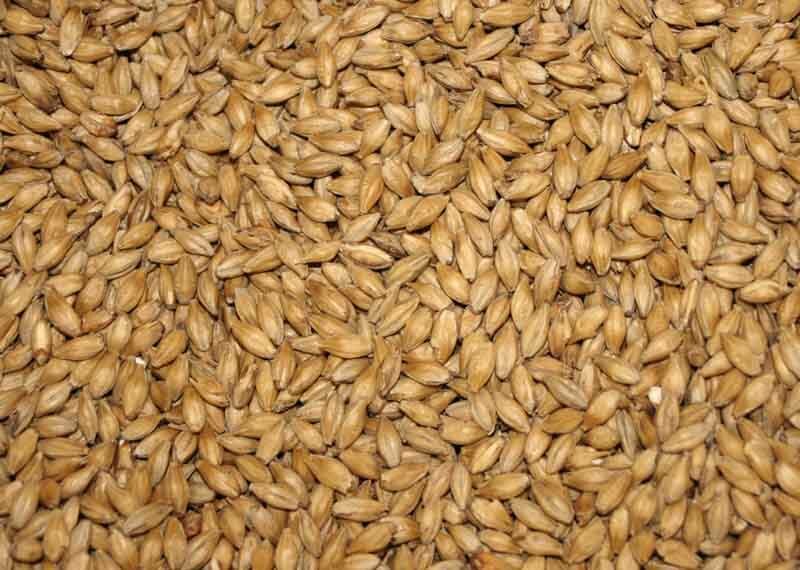 Our Bock uses Munich malt extracts and darker specialty grains fro color adjustment. This kit includes a lager yeast that will also perform well if fermented at ale temperature. A classic dark ale featuring chocolate and de-bittered black specialty grains. A nice, hoppy character is balanced well against this roasty full-bodied beer. A dark, roasty, creamy ale. Although nearly black in color, this beer is medium-bodied and finishes dry from the roasted barley addition. Maltodextrin creates a thich, long-lasting head. Bold and black, yet sweet and subtle. This recipe offers all of the chocolate and roasted notes that you would expect from a stout. Addition of Lactose produces a full body, thick, creamy head, and a sweet finish. A new twist on a classic style. The fresh coffee, wild cherry and dark stone fruit notes, chocolate, and roasted tones and slightly spicy hop character will create a stout you're not going to forget. A strong golden traditional Belgian ale using only pilsner malt and authentic Belgian style candi sugars. The dry finish and light body create a canvas to showcase subtle fruit notes and moderate yeast spiciness commonly found in this style. Finishing off with predominant Belgian Lace, this ale is flavorful, refreshing, and complete. A classic white ale brewed with wheat, barley, orange peel, and corander. It is lightly hopped and fermented with Safbrew WB-06 resulting in a fruity, spicy, refreshing beer with a dry finish. Contains one pound of light Belgian candi sugar to create a high gravity beer that is golden in color with a creamy, white head. This kit has plenty of dried malt extract and specialty grains to accent its complexity. The hops create a mild, spicy character. Produces a malty, high-gravity, full-bodied version of this easy drinking, well-rounded beer style. Golden in color, Imperial Blonde Ale uses the lightest malt extract available and a unique balance of domestic and imported hops. A great recipe if you like big blondes! High gravity ale has upfront and dominant hop profile. Aromas of citrus and slight pine from the complex hop flavors are perfectly presented on a medium-light body background. Golden hue and white frothy head round out this IPA. A generous hops schedule and soft Belgian Candi Sugar combine to create this modern style ale. Our Belgian IPA includes that trademark spiciness familiar to Belgian Style Ales along with the piney, herbal, and slight citrus flavors of an American IPA. This beer style has been perfected on the West Coast and we are proud to create an extract version for the homebrewer. This beer is very big, very hoppy and somewhat arrogant. Use your homebrewing skills to make the most of this recipe. A rich, complex, high-gravity specialty ale. It's a full-bodied brew with plenty of hop character to balance this Imperial-style Brown Ale. The slight caramel and chocolate flavors are followed by a nutty aftertaste. Includes premium Safale S-04 yeast. Deep brown in color with a dark roasted coffee nose giving way to intense flavors of chocolate, cofee, and a slight roasty note. Medium hop bitterness brings pleasurable balance to this dark ale, making it a brew to be enjoyed at any time of the day. A classic porter - rich and robust with a Java twist. Moderate roast character balanced with medium-high hop bitterness and a moderate degree of caramel malt character. The distinct citrus, grapefruit and slight pine characteristics of the hops complement the roasted malt flavor and aroma of this Black IPA creating all the attributes you would expect in an American Style IPA. Specially selected dark malt extracts and specialty grains combine to release a delightful bouquet of chocolate and roast. We have included a package of genuine whisky barrel oak chips to impart flavors of oak and whisky. This ale is medium-full bodied, rich and toasty in flavor. Victory malt combines with brewers oatmeal to offer a nutty yet silky character. Dark chocolate marley adds an impression of coffee. This Extra IPA recipe showcases the superior flavor and aromatic qualities of Falconer's Flight®. This proprietary hop blend was created to honor and support the legacy of Northwest Brewing legend Glen Hay Falconer. Caramel and Munich malts lend their sweetness while the special hop blend dominates the palate... a truly unique beer to celebrate a truly unique brewer. Using select Pacific Northwest hops, we've crafted a West Coast style IPA that's big on flavor. A hardy bitterness at the start and late kettle additions create a flavor that's bursting in tropical and citrus tones, while the medium-light maltiness pulls it all together in harmony.